It is easy to shout Jesus from the mountaintop. Often, it is in the valley that one’s song is tested. What is the rhythm of your valley chorus? What are the lyrics coming from the depths where you may be? Is it Jesus all the way! There is the breakthrough. Freedom comes with the praise. Liberty comes with worship. Love the Lord even through circumstances that stifle your voice. Shout glory through the chokehold and you would become like hot charcoal in the enemy’s hand. You would be let go. Set free to glorify Christ. Liberia must align with its purpose. Let God arise and his enemies be scattered. When the nation is aligned with its purpose then shall the restoration begin. Liberians, spend the next 10 days praying for the righteousness of Christ to override the temperament of man (men and women). 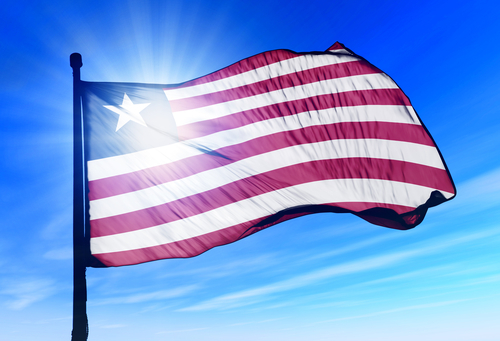 Liberia must be gloved in prayer and worship. Undergirth the Republic of Liberia with collective prayer. Desperate times call for determined measures—Let Us Pray. In the name of Jesus Christ so Almighty God can hear us. Align the nation with its purpose and the restoration will begin. Amen. Operation Righteousness in the Valley is a Prayerfest conducted individually. Pray for Liberia if you love Liberian. Go to The Father one on one, no one is watching. Just you and God. Make a commitment to pray for your Country’s righteousness in the valley. Liberia must align with its purpose. Let God arise and his enemies be scattered. When the nation is aligned with its purpose then shall the restoration begin. Do It For Christ International has seven (7) Ministry Outreach Branches (MOBs). MOBs have many and varied functions. One type of MOBs activity includes Operating raids and campaigns, tailored to personal spiritual development. MOBs Raids are assault missions carried out by the individual, against evil and temptations which threaten personal wellbeing and good character traits. Individuals stand on the promises of God Almighty to achieve righteousness, in Jesus, by discarding the sins which so easily beset you. The purpose is to drive out Satan and his mercenaries from attacking one’s mind and attitude. MOBs Campaigns target spiritual integrity, housekeeping and character sanitation. Raids and campaigns are designed to preserve one’s personal spiritual space by being proactive with your faith. Every operation aims to replenish the individual with fruits of the Holy Spirit, arsenals found in Jesus Christ. Whereas an individual operates in secret, the heavenly father rewards openly, once again transforming a person’s life. If you move towards Jesus Christ the Lord will move towards you. The end result is that your spiritual territory is refortified with the might and power of Almighty God. Make a Commitment to operate with Jesus.